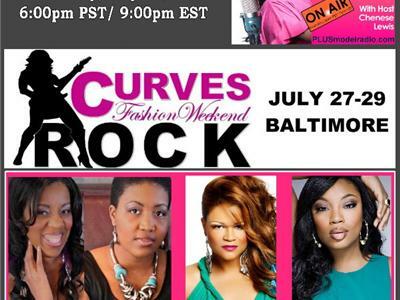 On the next PLUS Model Radio we celebrate Curves Rock Fashion Weekend! Chenese Interviews Tykesha Reed and Chanell Jones, founders of CRFW. Christina Mendez tells us about the Plus Model 101 Workshop during CRFW as well as her latest projects and Co-host of the weekend Liris Crosse talks about her successful career and tells us why CRFW is an event you don’t want to miss!